Retail/Wholesale Dry Cleaners. MANAGED AND OPERATED BY OWNERS. 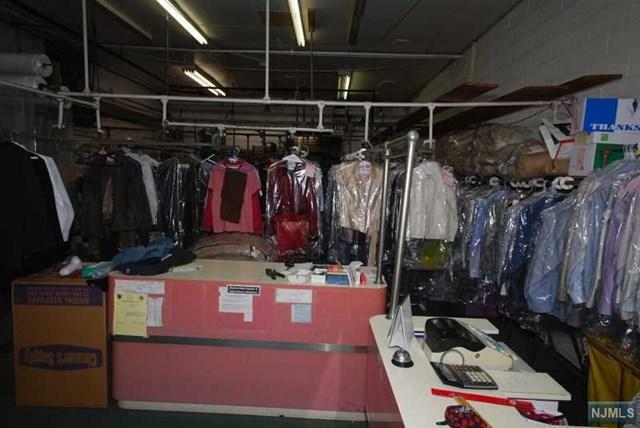 WONDERFUL OPPORTUNITY TO OWN AND MANAGE A SUCCESSFUL RETAIL/WHOLESALE DRY CLEANING BUSINESS. FF&E: 3 PRESSER MACHINES, 50LB DRY CLEANING MACHINE, 2 WASHERS, 1 STEAM DRYER TO GET YOU STARTED. ITS GROWTH IS LIMITED ONLY BY YOUR IMAGINATION. OPERATION CURRENTLY SERVICES LOCAL CUSTOMERS AND THOSE WHO STOP IN FROM ROUTE 46 AS WELL AS PROVIDING WHOLESALE DRY CLEANING SERVICES FOR FOUR CLIENTS: DELIVER AND PICKUP SERVICES FOR THREE AND ONE CLIENT PICK UP AND DROP OFF DRY CLEANING FOR HIS 7 DRY CLEANING DROP OFF SITES. PARKING FOR 8+ CARS. LEASE PAYMENT IS $4,050 MONTHLY, SUBLET PORTION OF BUILDING FOR $1,500 MONTHLY INCOME. Looking for a growth business this is the one! Listing provided courtesy of Realty One Group Legend, Clifton.